The Defender is gaining sales as it reaches the end of its life. LONDON -- Jaguar Land Rover could extend production of its current-generation Land Rover Defender into early next year as it mulls where to build the iconic SUV’s successor. Defender production may continue at JLR’s factory in Solihull, England, until the end of January, the company said in a statement. Defender production had been scheduled to finish at the end of this year. JLR has also added a second production shift at Solihull to meet increasing demand for the rugged off-roader that has kept its utilitarian look and features since its 1948 launch. Last year, JLR sold 17,781 Defenders. JLR said worldwide sales of the Defender increased by 29 percent to 11,511 in the first half, with volume rising 40 percent in mainland Europe and 25 percent in the UK. .
Jaguar Land Rover is looking to expand production outside its UK home base as it seeks to double vehicle sales to about 800,000 by 2020. The company signed an agreement this month for Magna Steyr to build so far unnamed models at the contract manufacturer’s factory in Graz, Austria. Separately Poland’s Deputy Prime Minister Janusz Piechocinski said earlier this month that the central European country is competing with Slovakia to provide a site for a new JLR plant that would build 350,000 vehicles a year starting in 2019, he said. JLR unions in England have expressed concern that the automaker is seeking to move Defender output from England to a country with lower production costs. JLR said in 2013 it would end production of the current Defender by the middle of the decade. The automaker is planning a new generation of the Defender that will keep the SUV’s multi-purpose functionality and meet the latest engine emission and safety standards. The new model could launch in 2018, Autocar reported. 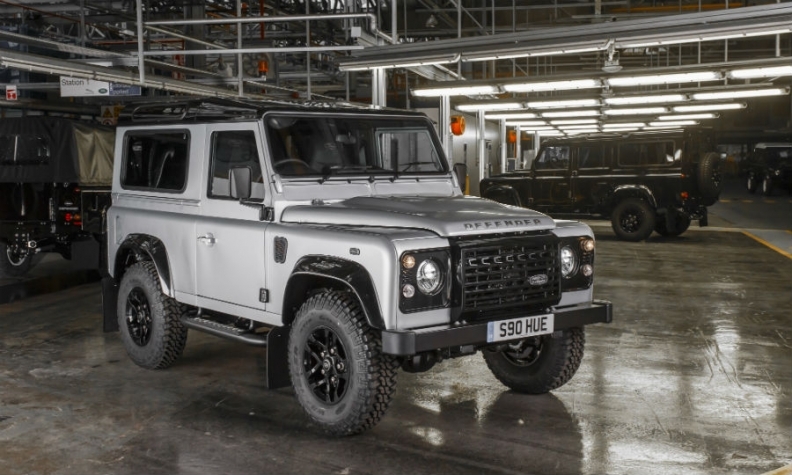 UK newspaper Birmingham Post reported that Defender production may be extended beyond February.